This turns out a dish much like pork carnitas, but with a bit more juice so you can enjoy it as a stew. Serve it piping hot and enjoy ! Trim meat and cut into 2 inch chunks and place in crock pot; sprinkle with salt and pepper. In a saucepan mix salsa, broth, onion, cumin, salt and pepper and bring to a boil then pour it into the crock pot. Add tomatoes and mix. Cover and cool 6-7 hours or until meat is very tender. Transfer meat to a bowl and keep warm. Pour the sauce an veggies into a skillet and cook for 15-20 minutes to thicken sauce. Add in pork and ¼ c cilantro and heat through. Garnish each dish with sour cream and cilantro. 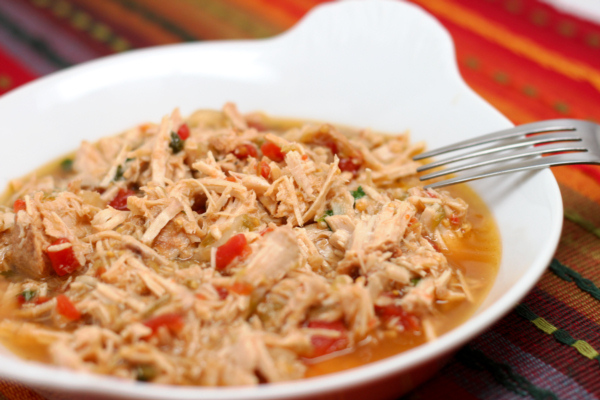 To make this without a crock pot, preheat oven to 350 degrees and place pork, salsa, broth, onion, cumin, salt, pepper, tomatoes and ¼ c cilantro in a large baking dish. Cover tightly with foil and bake 2 ½ hours. Uncover and bake 15 minutes. Garnish with sour cream and cilantro. 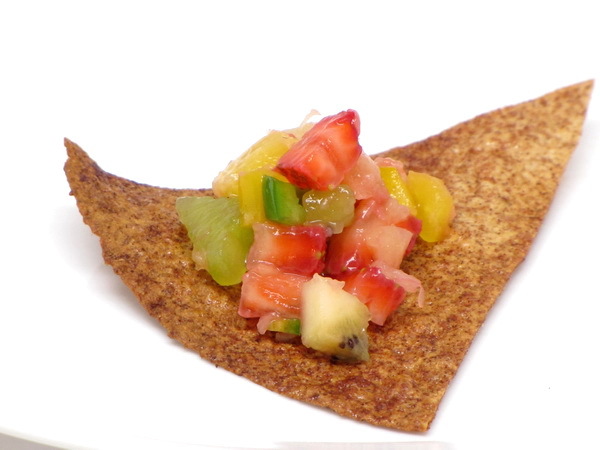 Try serving this with Cinnamon Tortilla Crisps. This has such a flavor explosion already then you add the kick from the jalapeno and this is a dessert or snack that is near perfection ! Be sure to chop everything very small and very uniform – that is part of what makes this as special as it is. Combine all ingredients and cover and chill at least 6 hours. Sometimes a sandwich just hits the spots and this one is not your boring old sandwich ! Chicken in fajita seasoning combined with a tangy sauce and arugula is taste treat you’ll be craving after you sample this one ! Sprinkle chicken with fajita seasoning and cook 3 minutes per side or until done. Cut into thin slices. Mix mayo, cilantro, lime zest and lime juice and spread on cut sides of bread. 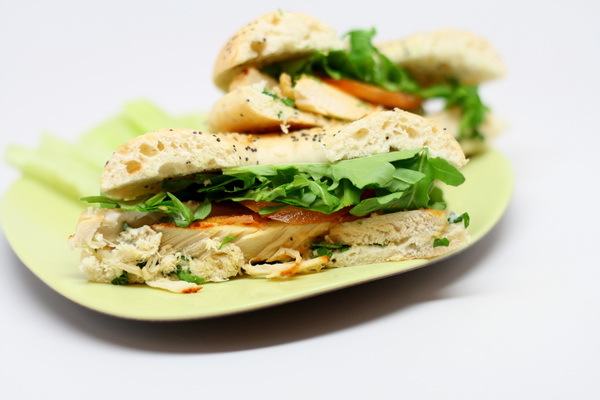 Place chicken on bread and add tomato and arugula then cover with the top of the bread and cut into 4 wedges. 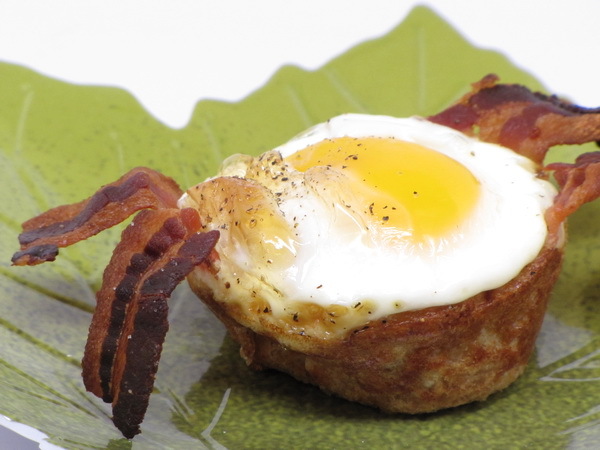 What a perfect meal – breakfast in a cup ! These cook up perfectly and are a satisfying NON DIET breakfast for only 175 calories each. Bacon just makes everything better ! Preheat oven to 375 degrees. Spray regular size cupcake pan with Pam. Slightly flatten bread with a rolling pin or by pressing out by hand and then cut into 8 4 ¼ inch rounds. Place the rounds in the cups. Make sure the bread comes up the edges to form a cup. Spray each cup with 5 or so sprays of ICBINB Spray. Cook bacon until almost crisp (or use precooked bacon right out of the package). 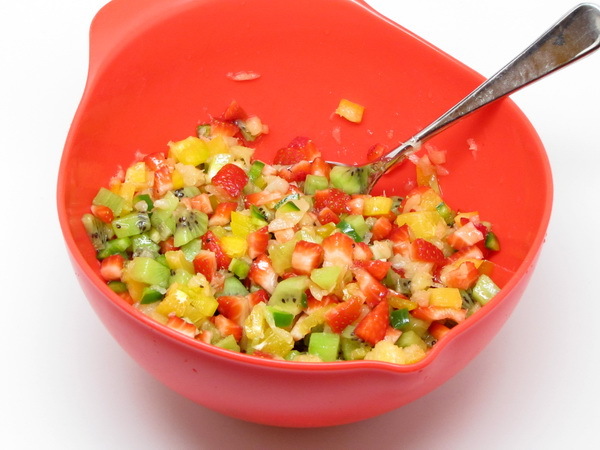 Lay 1 slice in each cup letting it dangle over the edges of the cup. Crack 1 egg over each cup. Sprinkle with salt and pepper and bake 20 minutes or until egg whites are set. Mix butter, Worcestershire, garlic, and salt. Gradually stir in the rest of the ingredients and mix well to evenly coat. Cook uncovered on low 3-4 hours stirring every 30 minutes. If you don’t have a crock pot, you can bake these at 275 degrees for 1 hour, turning and stirring every 15 minutes. Shake and Bake fans will love this one. 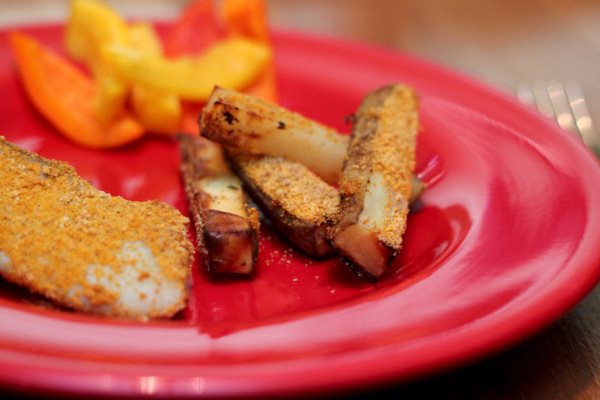 Both the fish and the potatoes get a coating so the meal is crisp, the fish stays nice and moist, and the potatoes (‘chips’) are just a little different. 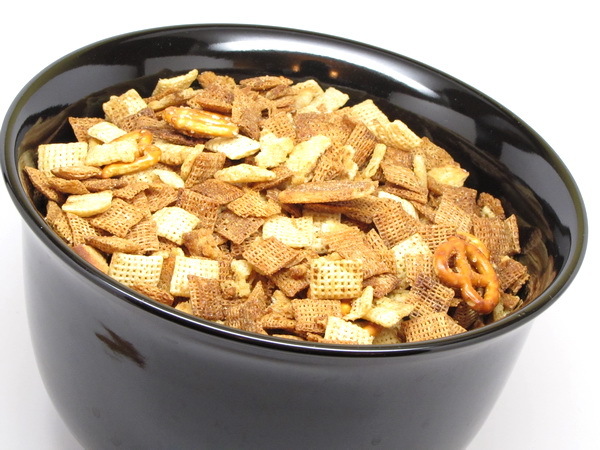 This is crunchy goodness ! Preheat oven to 425 degrees. Mix potatoes with dressing and dust with ¼ c of the Shake n’ Bake. Spray a baking sheet with Pam and add the potatoes and bake 25 minutes. Spread mayo on fish and then dredge in the rest of the Shake n’ Bake to coat them evenly. Place fish in a wire rack sprayed with Pam and place that in the oven and bake 15 minutes or until done.